← DON’T JUST DO IT, FEEL IT! October 13, 2013 – Sunday, such a welcomed day! This is my very first day off from the Ashtanga Yoga Teaching Training Course since started on Friday, October 4th. After 7 days of asana practices in a row, the alarm going off regularly at 5.30 am, all the pranayama and other sessions along the days, to wake up without the alarm, taking the time for writing and working on some pictures, enjoying breakfast at the Germany Bakery overlooking Laxman Jhula bridge, going for a massage to give relief to my sore muscles was just all that I needed to recharge the batteries… yessss! I was asked to share more about the schedule and the studied topics; here it is what has been going on in my life for the last 10 days, in a very quick way. 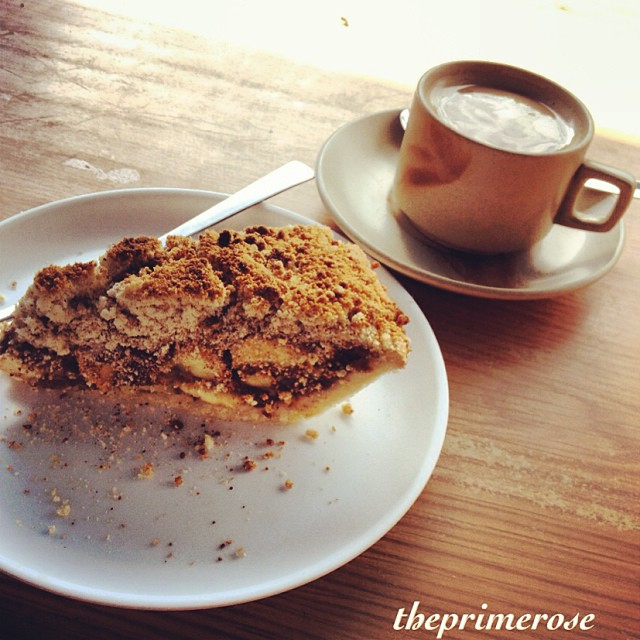 From 10.30 am to 12.00 it’s time finally for breakfast, the washing or run quickly errands. 4.00 pm – 6.30 pm: Adjustment session with Kamal. I’ve already written about how amazed I am each time I receive or see Kamal giving adjustments. This has been the time to understand what leads him to choose an adjustment for a specific student instead of a different one, to learn how to perform those, to try them on other students though I know there are adjustments I will never be able to give, at least for a few years (i.e. standing straight on somebody in urdhva dhanurasana, the wheel pose, and still being able to look around and give indications to other students!!). But, apart from Kamal’s ability with adjustments, what has struck me the most is the fact he has always a good reason why he is doing it that way or the other, and he generously share with us. Now it’s time for the third shower of the day as well as dinner time. 8.30 pm – 9.00 pm: Group meditation sitting with Sunil or on our own. I’ve been learning different kinds of meditation, such as Brahma Mudra meditation or OM meditation. 9.30 pm: Light is switched off in my room for some well deserved rest. You’re planning to join a future training at Tattvaa Yogashala? That’s a very good plan, just make sure you’re very committed to your practice and learning schedule as those are very demanding… and so rewarding in return! This entry was posted in Ashtanga Yoga and tagged ashtanga, Ashtanga yoga, daily yoga practice, incredible india, India, Kamal Singh, Rishikesh, Rosa Tagliafierro, Tattva Yogashala, theprimerose, theprimerose photography, yoga, yoga photography, yoga pictures, yoga practice. Bookmark the permalink. How much time is there to actually teach others/practice teaching sequences or parts of sequences? We worked a lot teaching to others, working in couples, in minigroups and even teaching to the full group. In addition, we also had to teach real classes for beginners with external students. As part of the exam we had to teach for 20 minutes each. How experienced do you need to be prior to the course? I’m thinking of taking the July course (Hatha is offered in July, not Ashtanga) But I’ve only done yoga casually on and off. Wondering if I can make it through the month, although I do plan to train quite a bit beforehand but still….Is it doable for beginner types. Hi Melanie, sorry for the delay in answering. Ashtanga is a pretty dynamic yoga style, hence requires a certain level of practice to really grab the meaning of it. And considering this is a teacher training so that you can teach other what you know and have experienced by yourself, can be pretty challenging. Hence, make sure you have already a solid practice before joining in. Have a beautiful day! Im very much interested in becoming a Ashtanga yoga instructor / teach yoga. How much time i would need to train to become one ? Would I get a certificate after completing the course? first of all, how long have you been practising ashtanga yoga? 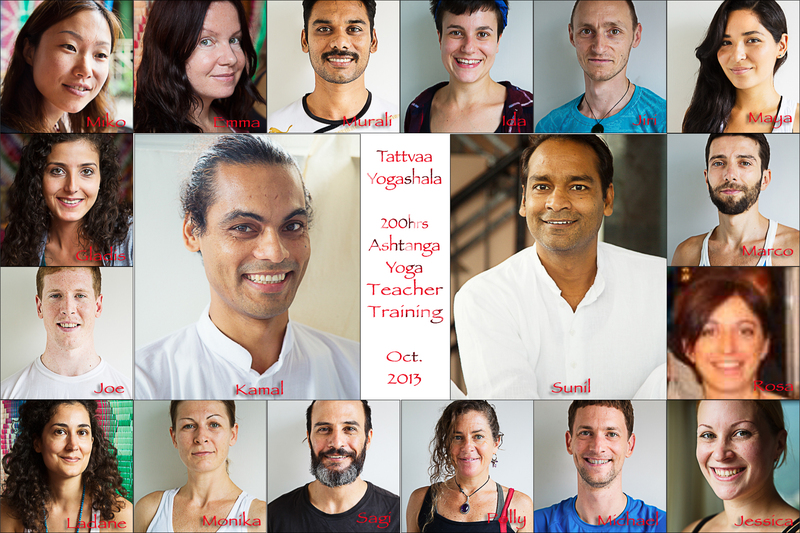 Kamal requires at least 1 year of consistent ashtanga practice to enter the course, though he can do exceptions based on the profile and the history of the single applicant. From my point of view, to have completed the full primary series is a must and a plus if you wish to become a teacher, so that you can really concentrate on the teaching techniques instead of worrying about your own personal practice, which in any case will get a shift. Definitely not recommended for people completely new to ashtanga. On my intake, we had somebody leaving after only 3 days because brand new to ashtanga and couldn’t keep up the pace. On the other side, we had a a couple of people pretty new to ashtanga (had been practicing it for just a few months) though really committed to learn, and they did great and learned a lot (fyi, they had to memorize the sequence within the first week). Thanks Rosa! That’s loads of help! Oh, and I love your blog! Hi Elise, sorry for my late reply.. as you might have been reading, this TTC doesn’t leave much free time, but it is all worth it!!! 🙂 Actually the AYTTC at Tattvaa Yogashala is mainly about teaching others. For the first 2 weeks we had led class, but it was us leading it under the supervision of Kamal. Then there is a lot about verbalizing and giving cues during a led class and 2,5 hours every day learning how to adjust students when practising Mysore style. And than, during last 2 weeks, you have the opportunity to put in place all you have learned teaching at least one real class and assisting Kamal during the morning Mysore class so that you will practice again adjustments. Than there is a lot more during the day. All that will foster your personal growth as well as your growth as a teacher. As to me, I already had another TTC and this one has been more intense on many aspects and I already have a bit of teaching experience so I had very clear the aspects I wanted to focus on and must say Kamal and Sunil fulfilled them all! Hope you can have such an amazing experience as well!